Until the 19th century Lowertown was in Far Oxenhope in the Chapelry of Haworth, in the parish of Bradford. Those attending church would go either to Haworth or to the mother church of St Peter at Bradford, and burials would have taken place in the churchyard of St. Michael & All Angels, Haworth. Lowertown Wesleyan Chapel, built in 1805, was the first church/chapel in Oxenhope and the adjoining burial ground is the oldest of the five graveyards in Oxenhope. Burials there date from 1807 to 1908. The ‘old’ burial ground is situated on the north or left-hand side of Denholme Road if facing uphill, just above the junction with Jew Lane. Lowertown Wesleyan Day School was built on the other side of Denholme Road in 1852 and an extension to the burial ground formed, with burials dating from 1855 to 1975. This ‘new’ burial ground remains under the control of the Methodist Chapel in West Drive. 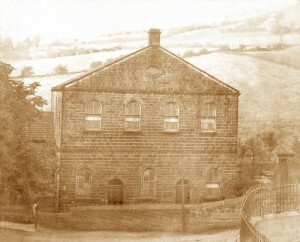 By 1889 the Chapel was too small and, in 1891, a large imposing Methodist Chapel seating 700 was opened on Station Road and the original chapel sold and converted into a mill. The mill was in use for most of the next century, but in August 1990 it succumbed to a mill fire and was demolished the following day. When the buildings came down the little ‘old’ burial ground was revealed. 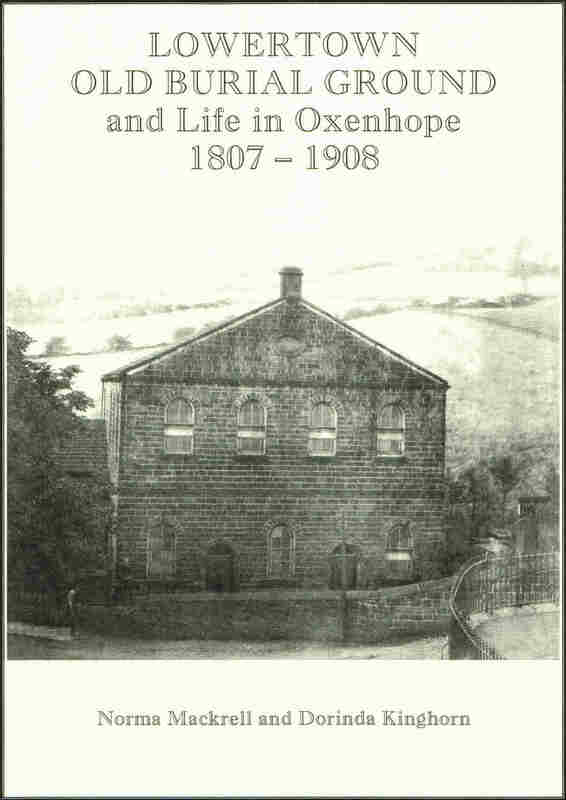 The day school was closed in 1896 and the pupils transferred to a new school in Uppertown, Oxenhope. The old school was demolished and the site used to enlarge the ‘new’ burial ground. 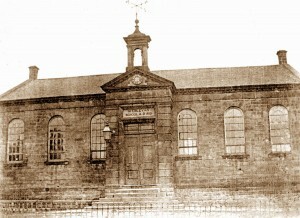 A large Methodist Sunday School was built next to the new Methodist Chapel in 1897. This chapel was itself demolished in 1972 and the Sunday School demolished in 1987 to be replaced by a small purpose built Chapel at the top of West Lane. The ‘old’ burial ground contains much social history of the 19th century, providing names of the local families who lived and worked in the village. "Akeroyd, Baldwin, Bancroft, Beaver, Binns, Booth, Butterfield, Crabtree, Denby, Drake, Farrar, Feather, Greenwood, Hey, Holdsworth, Holmes, Hopkinson, Normington, Ogden, Overend, Parker, Preston, Sunderland, Sutcliffe, Whitaker, Wright, Waddington and Yates" are among the 52 families that are buried there. Mercy Butler’s gravestone has a reference to her husband Fredric who died at the Battle of Inkerman in the Crimean War. The ‘old’ burial ground is bounded on three sides by the former mill site. As well as being an architectural heritage site of historical interest the graveyard provides an important green space in the village, especially as the old mill site is now being developed for houses. Thanks to the Trust the burial ground, with all its memorials, has been saved.